2. When & where the event will be held? 3. What are the programs in the event? The main event of OGW 2014 is Oil & Gas Industry Career Exhibition where companies from the oil & gas industry will open up their booth for exhibition & will conduct walk in interview sessions. Visitors also can drop of their resume at the booths. Other events that will be held is Expert Sharing Session, Resume Workshop, Competitions, Outreach Program & sales booth. 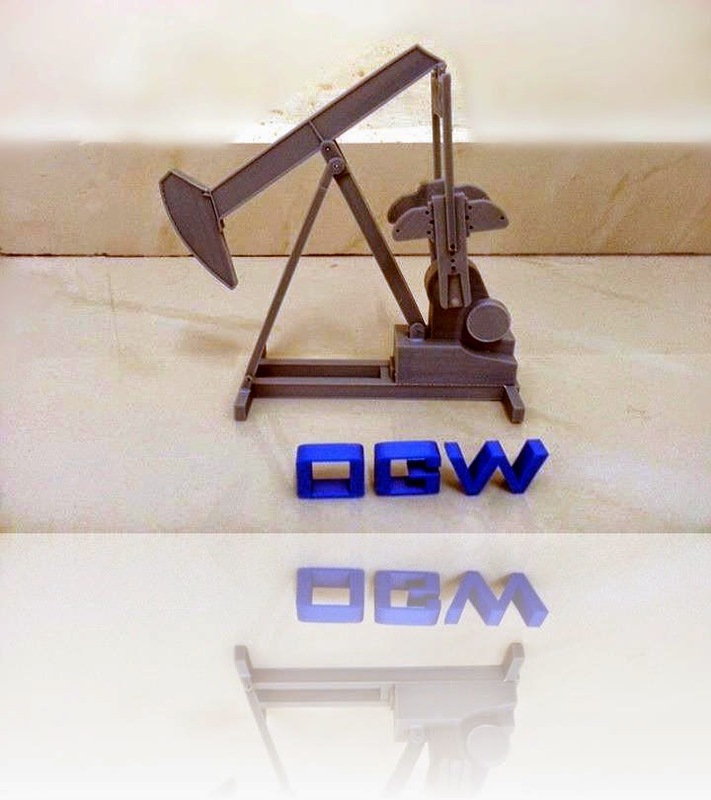 4.What can I do at OGW 2014? If you're a fresh graduate or final year student, you can register yourself for the walk in interview session. Besides, you can visit the booth to learn more about the oil & gas industry and working opportunities. 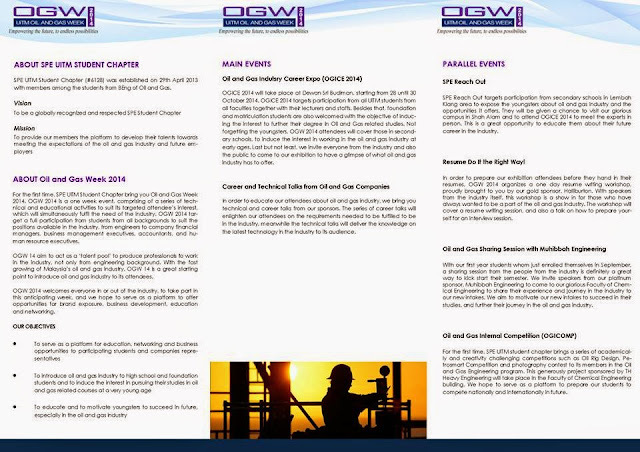 Brochure as a guidelines for your journey during OGW2014. Don't forget to set the date and invite your family and friends. Prepare your resume, clear your schedule, get ready to make networking with the companies. Find yourself job opportunities by engaging with the companies. 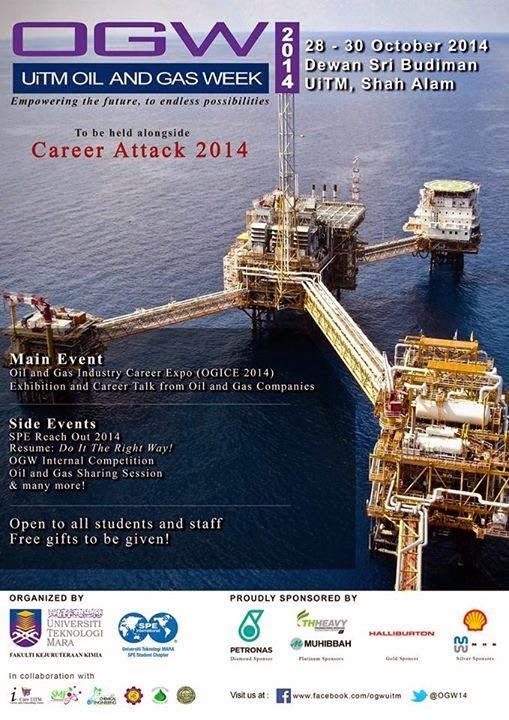 Grab this golden opportunity to hear Career and Technical Talk by Experts from various Oil & Gas companies. Grab yourself mystery prizes during the event. It's all for you! Come to OGW14 and we will open the door to endless possibilities!! 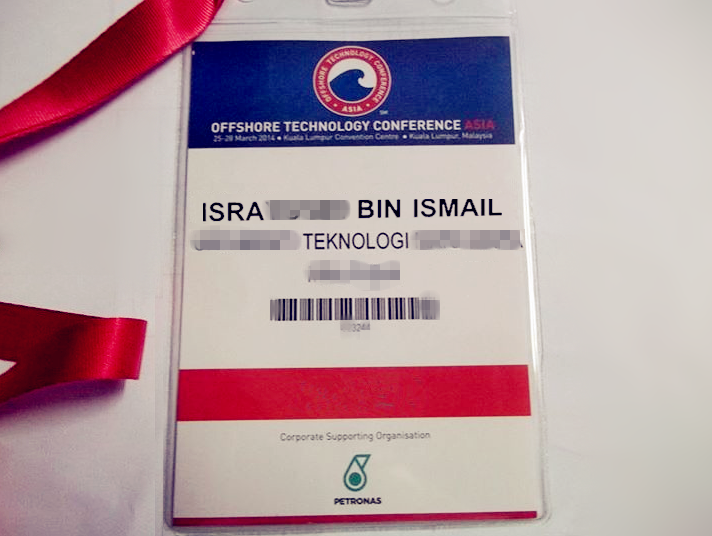 Grab the chance to learn from industry expert in the technical talk, see a glimpse of working in oil and gas industry. All in #OGW14!And don't forget, visitors will get mystery gifts too! Come and join us at #OGW14! We would like to announce you that Petronas has become our main sponsor! 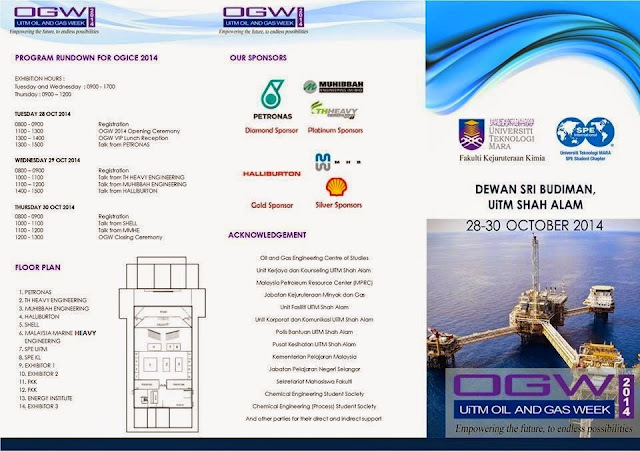 Come and visit their booth at OGICE14 and there will be career and technical talk delivered by experts from Petronas on 28 October at Dewan Seri Budiman! Invite all your friends! 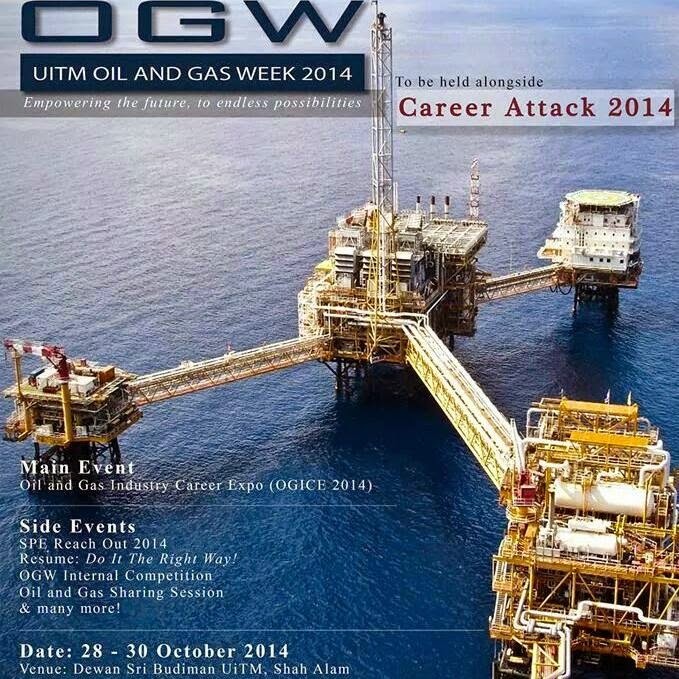 grab the chance for to be one of the future employees of Petronas! 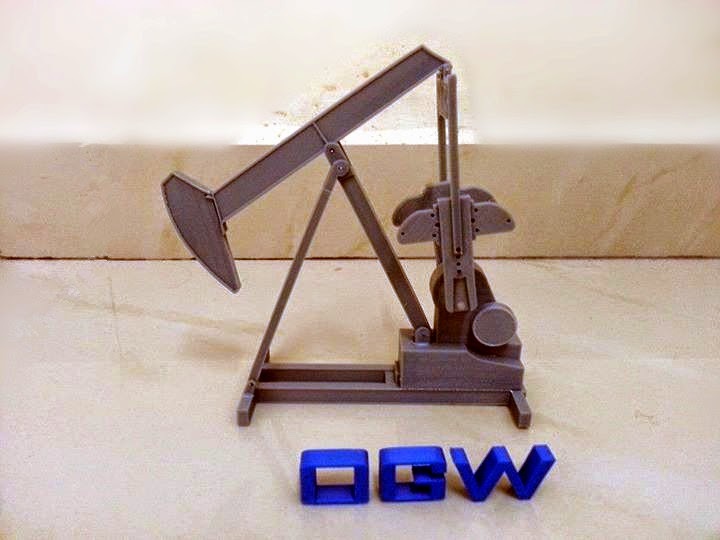 Menyediakan perkhidmatan Print 3D. 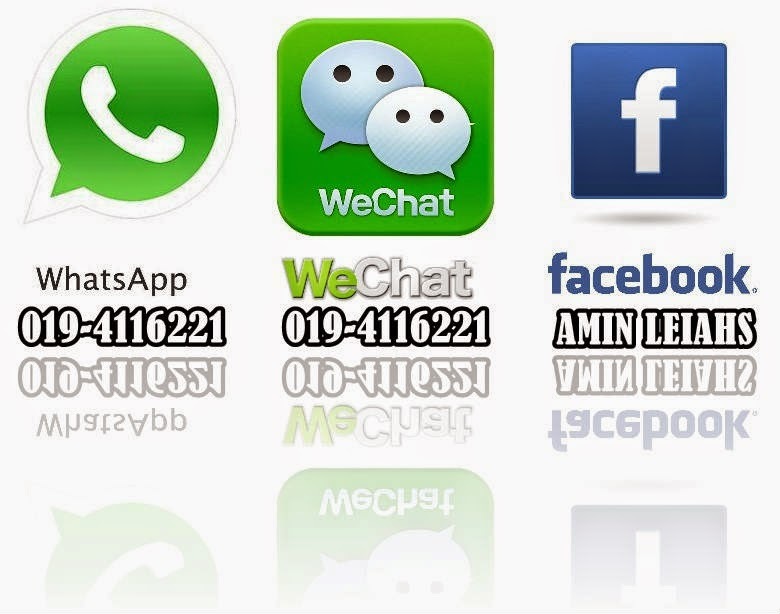 Sekiranya berminat.. boleh PM. Nak Buat Nama 3D pun boleh.. Macam2 la boleh.. InsyaAllah..